Katie here: I am patiently awaiting the 4th of July weekend. It's the first time I get to camp on the coast of the east since moving here from Chicago. Half of the anticipation is getting my place ready for my departure because I know when I return to Washington D.C., dancers, much like little art-elves, will have descended upon my apartment from their various corners of the countryside and set up shop. This traveling, meeting, and making is also a big part of the art of Mountain Empire Performance Collective. 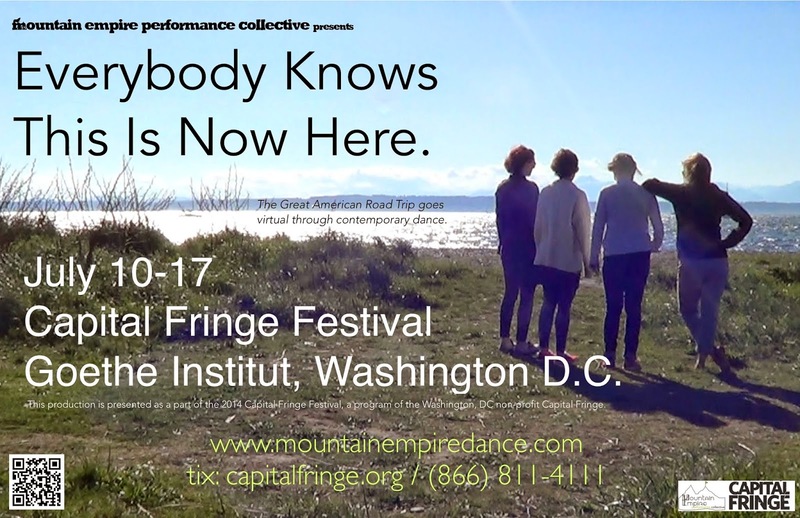 Come join us as we present Everybody Knows This Is Now Here, and watch "The Great American Road Trip" go virtual through contemporary dance during the Capitol Fringe on July 10-17, at the Goethe Institut in Washington DC. 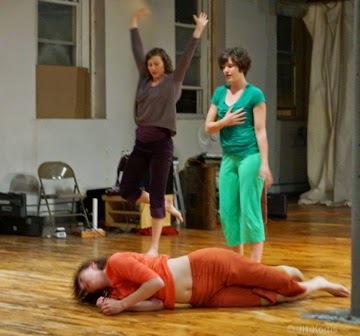 Part of the Mountain Empire Performance Collective clan will be descending upon Washington DC (and crashing with DC MEPC member, Katie Sopoci Drake) in mid July. 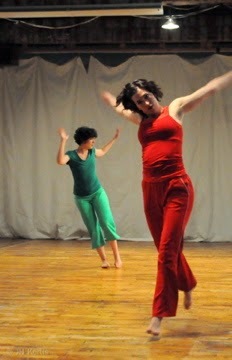 So get your tickets for DC's Capitol Fringe now and join us for some dance, discussion, and fringe fun! 1. Everybody Knows.. from Eliza Larson on Vimeo. 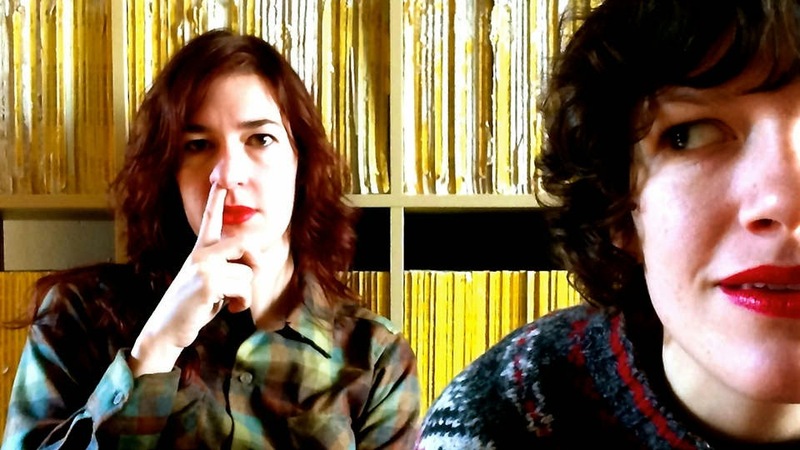 Developed primarily via Skype, this multimedia performance explores physical and virtual distance through the lens of female friendship and the Great American Road Trip. 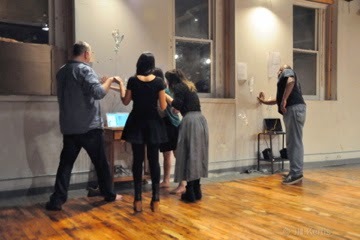 Blending dance, film, personal story and song, the performers search for home in the digital age. You Are Happy Opens This Weekend! 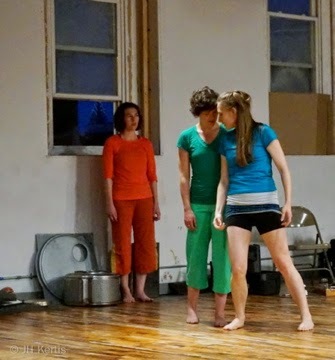 You Are Happy, Eliza Larson's "sensual, surreal, and sensorial solo performance" is kicking off our summer line-up at the PortFringe on June 26th and 28th, 2014. Want to see You Are Happy, but can't make it this weekend? 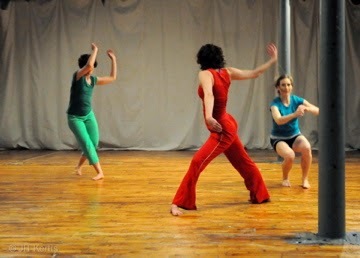 Come visit Eliza at the Southern Vermont Dance Festival on Sunday, July 20th, 2014 at 11:00am in Brattleboro, VT.
We've got your plans right here! You know you want to be "Happy" right? Well, Eliza has got you covered in Portland, Maine. Then head on down to Washington, D.C. and we'll get you "Home"... digitally at least. This sensual, surreal, and sensorial solo performance is rooted in the physical with an imaginative eye towards the mythical. This multimedia performance explores physical and virtual distance through the lens of female friendship and the Great American Road Trip. 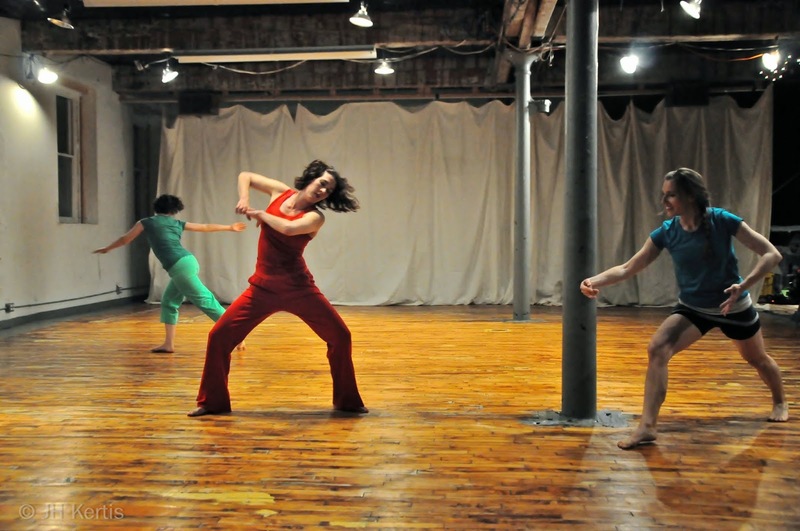 As always, there is dancing abound this summer with Mountain Empire Performance Collective. 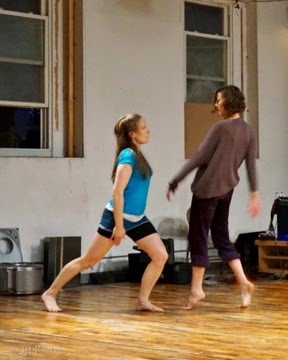 Come visit Eliza at the Southern Vermont Dance Festival on Sunday, July 20th, 2014 at 11:00am in Brattleboro, VT.
Everybody Knows This Is Now Here. We'd love to see you in D.C. this summer! You Are Happy: In Only 2 Weeks! You Are Happy, "a multi-media solo performance rooted in the physical with an imaginative eye towards the mythical", is kicking off Mountain Empire's summer line-up and is only 2 weeks away. 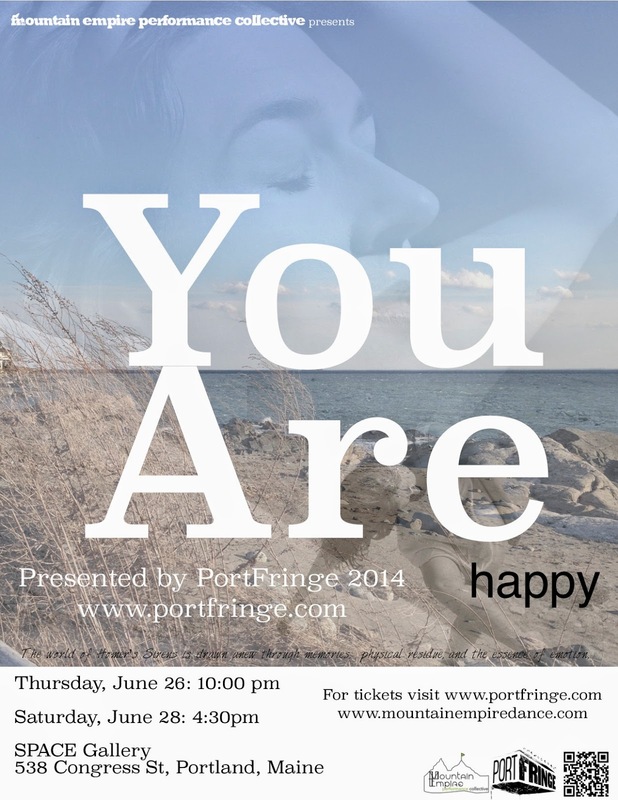 Get a little snapshot of You Are Happy on the PortFringe blog! "the movement in this piece brings in a lot of different inspirations - a little butoh, a lot of gesture work, some post-modern improvisation and some classical contemporary technique." Meet Eliza Larson in Portland, Maine on June 26 & 28th for a host of PortFringe shows and beautiful landscapes. Then be sure to talk to Eliza about what Siren inspirations she mined from the world of Homer. You Are Happy (premiering at the PortFringe, 6/26 & 6/28) is not only a "sensorial solo performance", it is a new collaboration between Choreographer Eliza Larson and Composer Benjamin Chakoian. Read all about them here! Benjamin Chakoian Jones is a composer, bassist, and violist currently living in Nashville, TN. Born in Des Moines, IA, Benjamin was raised on American Folk music such as Simon and Garfunkel and Mamas and the Papas, as well as a wide range of Classical music. Following high school in Ohio, Benjamin moved to Nashville to attend Belmont University. There, he continued his education in a variety of styles and began his career as a composer, arranger, and player. Still rooted in Nashville, Benjamin has spent recent years touring with the Americana band, Humming House, of which he is a founding member. When home, he makes a living as a bassist and arranger for recording sessions as well as continuing his work in original composition. Deriving inspiration from many styles of music, Benjamin writes first from an American Classical perspective. Setting his roots in the music of Aaron Copland, Alan Hovhaness, and Bill Evans, Benjamin enjoys pushing his palette by taking elements of music ranging from Early Modern Russian composers and French Romanticism to indie rock bands, traditional Irish music, and abstract sound. Writing music that is sonically, harmonically, and rhythmically experimental, Jones also writes music that can be enjoyed by a broad general audience. Eliza Larson is an independent artist based in Northampton, MA (USA). 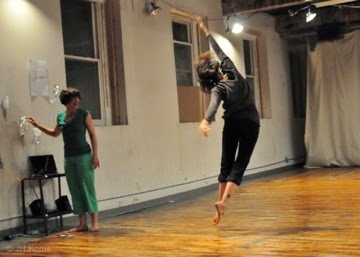 In addition to performing as a soloist, Eliza currently dances with the Mountain Empire Performance Collective. She holds an MFA in Dance from Smith College where she was a Gretchen Moran Teaching Fellow in the Five College Dance Department. As a choreographer, Eliza strives to create work that is both entertaining and thought provoking, quirky and beautiful, and accessible to the general public and dance enthusiasts alike. 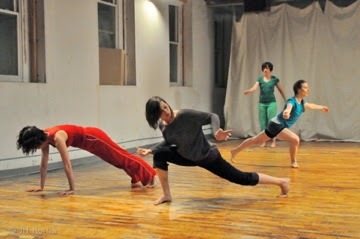 Her choreography has been presented around the country, including at PortFringe in Portland, Maine, the Capital Fringe Festival and the H Street Theater in Washington, DC, Conduit Dance Center and the Pacific NW College of Art in Portland, OR, and the OK Hotel Gallery and Velocity Dance Center in Seattle, WA. 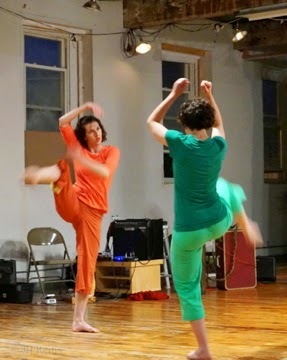 Earthdance in Plainfield, MA; and the Southern VT Dance Festival in Brattleboro, VT. Eliza has performed in works by Ohad Naharin, Colleen Thomas, Angie Hauser, Paul Matteson, Chris Aiken, Cathy Nicoli, Ming Yang, Mark Haim, Deb Wolf, KT Niehoff, Jan Erkert, Adele Myers, and Kristin Hapke among others, and was an original member of the Weaving Dance Company from 2006-2008. 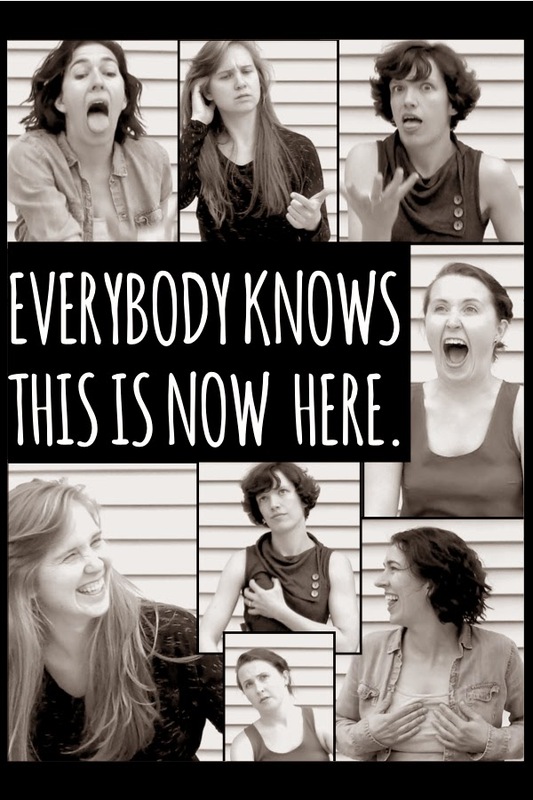 Eliza is also the author and illustrator of Terpsichore’s Deck, a set of choreographic cards to use in dance making and choreography, published in 2013. Her writing has appeared in Contact Quarterly and Kinebago, and her research on gender in dance was recently presented at the Congress on Research in Dance/Society of Dance History Scholars joint conference in November 2013. You Are Happy is a sensual, surreal, and sensorial solo performance. Rooted in the physical with an imaginative eye towards the mythical, dancer Eliza Larson draws the world of Homer’s Sirens anew in this interdisciplinary solo. Imbued with memories, physical residue, and the essence of emotion, the performance moves between dance and performance art, abstract and literal film imagery, and includes movement, image, text, sound, and costume. Featuring an original sound score by Benjamin Chakoian Jones and Stephen Turney. It's Summertime, which means Fringe Festivals! Mountain Empire is doing it's fair share of traveling and soaking up the art, and we're happy to share some our latest shows. Without further ado, here is Mountain Empire Performance Collective's 2014 Summer Line-Up. We had a great time in Philadelphia and are looking forward to this Summer's activities! We are currently organizing all sorts of Google "Hangout" sessions to plan next season and the next steps for our broader collaboration plan. We can't wait to see each other again for Fringe season where we will be dividing and conquering to get our butts all over the country to represent Mountain Empire. July 10-17, 2014, Capitol Fringe, Washington D.C. While you wait for the fun to begin, here are some pictures from our Philadelphia foray by the always generous Jen Kertis-Veit.